Storey holds one of his 3,000 birds inside a free-range grazing pen. An ISA Brown hen peers out; “They all have unique personalities,” Storey says. 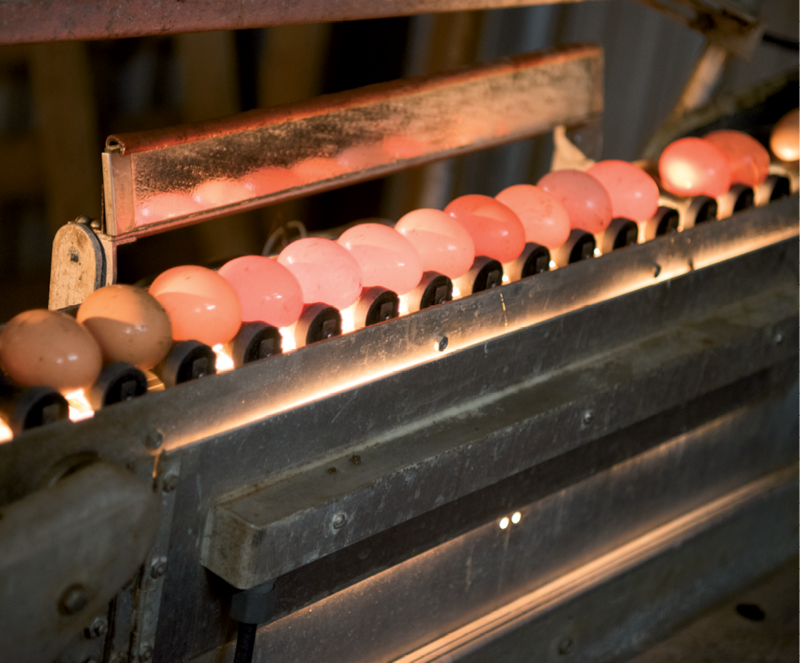 Eggs are sent through a lighted conveyor belt so employees can check for imperfections. 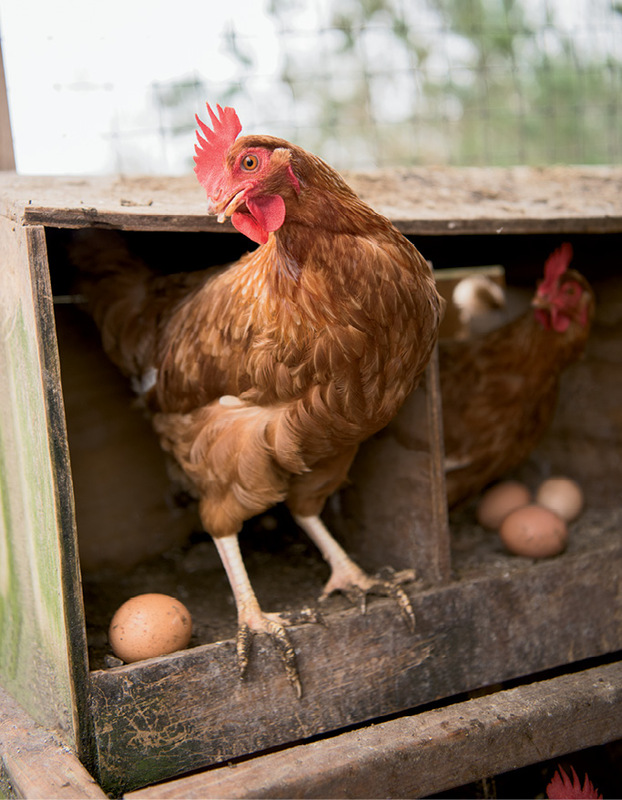 Crates transport eggs to restaurants. It started with a pheasant. About seven years ago, Jeremy Storey was working the front of the house at Alinea, a three-Michelin-star-winning restaurant in Chicago. 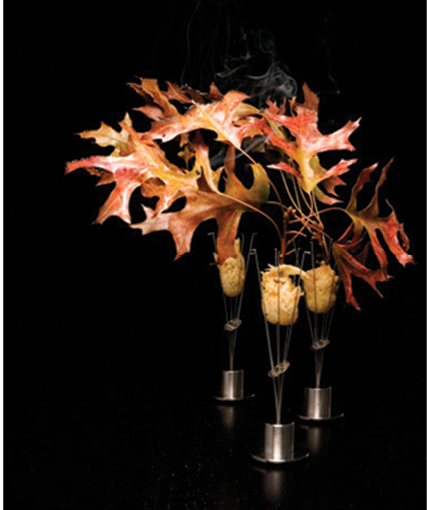 Alinea’s executive chef, Grant Achatz, was open to experimenting, and Storey had an idea: serving the homegrown game bird. “I brought one in, and he loved it,” Storey recalls. That fall, a dish of pheasant served with burning oak leaves was born. So he eyed Charleston, a fresh-aired place to which he and Alison agreed to someday escape. When the couple’s first son, Wyatt, turned one in 2014, they left bustling Chicago for a quiet John’s Island farm. Storey convinced Johnny Rolfe, his coworker at Alinea, to come too, and they hatched a plan to raise free-range chickens and sell the eggs and meat. 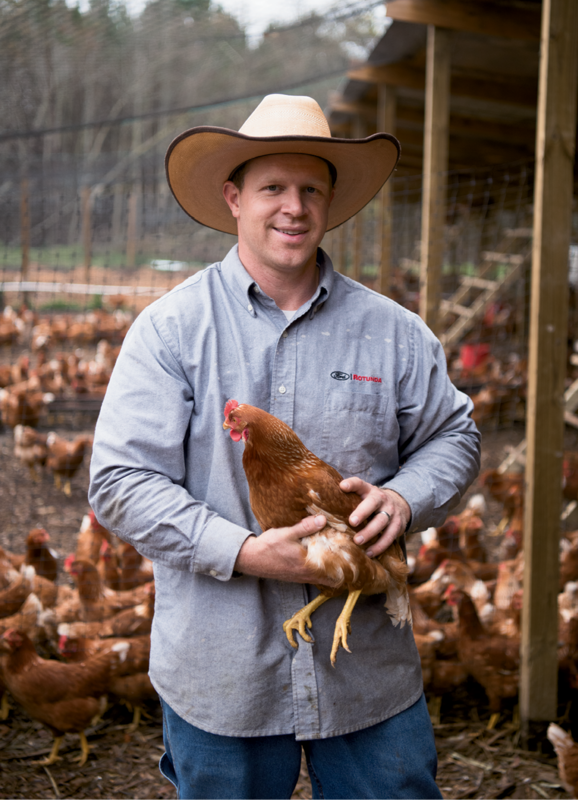 Storey Farms started with just 500 chickens. Today, the farm hosts around 3,000 happy birds, raised on a diet of alfalfa and regular exercise. “Charleston, it turned out, is one of the best cities for local farmers,” Storey says. He went door-to-door to restaurants, successfully selling eggs and meat. Storey’s culinary cred proved helpful: “I knew what chefs wanted,” he notes. The farm’s top-tier clients now include FIG, High Cotton, McCrady’s, Macintosh, Husk, and Poogan’s Porch. 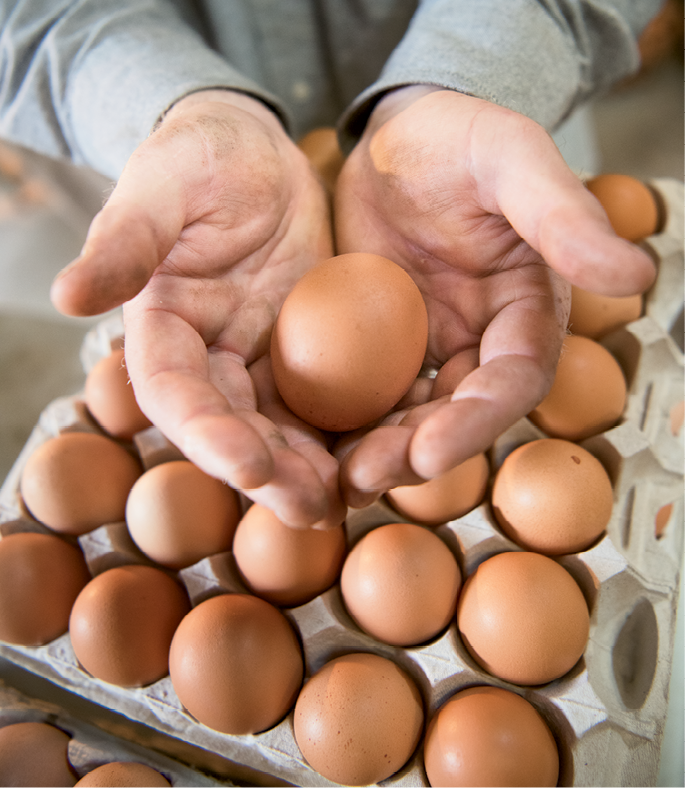 And diners eat a lot of eggs: Poogan’s Porch alone orders around 200 dozen a week.